Smoking and alcohol go together like peanut butter and jelly, black and white, Beyonce and sold-out concerts. As anyone who’s ever frequented a bar can attest, for some it’s hard to have one without the other. Unfortunately, alcohol and tobacco also happen to be the two most deadly drugs in the U.S., but would restriction of use cause people to automatically cut their usage of the other? According to a recent study, yes. While the number of Americans who smoke is decreasing, experts say that the number of light smokers, or people who only smoke in social situations, is rising. This suggests that more and more of us are choosing to light up only when we throw one back. Researchers from Washington University School of Medicine figured out a way to discourage both of these extremely unhealthy habits. The scientists analyzed state per capita alcohol consumption from 1980 to 2009, state price per pack of cigarettes, and smoke smoke-free policies, and found that increasing cigarette taxes and strengthening smoke-free policies also decreased overall alcohol consumption. Their results are now published in the online journal Alcoholism: Clinical & Experimental Research. “We found that during 1980 to 2009, increases in state cigarette prices and restrictions on indoor smoking led to decreases in state per capita alcohol consumption," Melissa J. Krauss, a corresponding author on the study, explained in the press release. “For example, our results suggest that a 20-percent increase in cigarette price would lead to a two-percent decrease in per capita beer consumption. 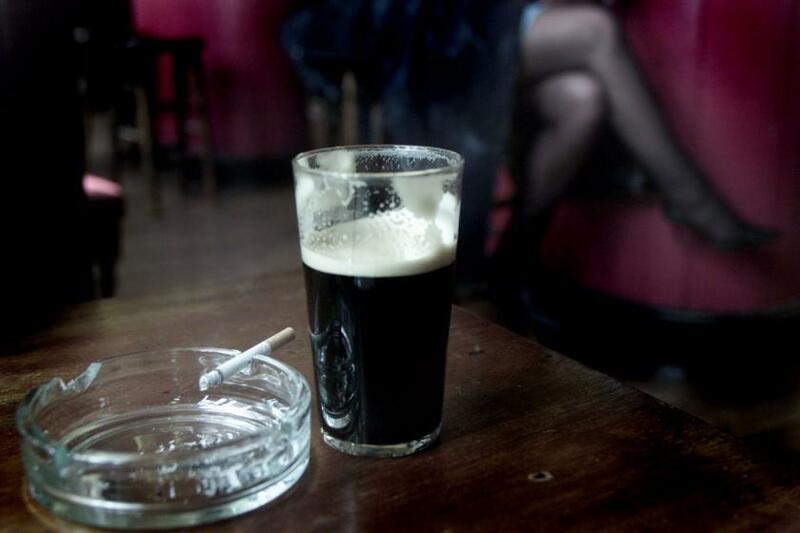 Adoption of a complete statewide ban on smoking in bars, restaurants, and worksites, compared to no restrictions, would reduce per capita beer consumption by four percent and spirits consumption by 11 percent,” Krauss added. The reason that so many people love to smoke when they drink isn’t pure coincidence, it’s scientifically backed. Tobacco can “enhance the subjective effects of alcohol,” explained Kelly Young-Wolff, a research scientist at Kaiser Permanente Division of Research, in the press release. In other words, this means that it can enhance alcohol’s “high.” Another reason that so many love smoking when tipsy is that nicotine was found to boost your interest in alcohol. This puts the social smoker in a never-ending pattern of craving more of both drugs, the Daily Mail reported. There is a catch, however. This trend only existed in sales of beer and liquor. Wine sales were generally unaffected by tobacco legislature. The reason for this? People who drink wine generally don’t smoke, as opposed to people that drink beer and liquor, who are not only more likely to smoke, but are also more likely to smoke heavily. The information can also be helpful on an individual level, suggesting that those who wish to cut down on their alcohol consumption may find more success if they also stop smoking, Krauss added.